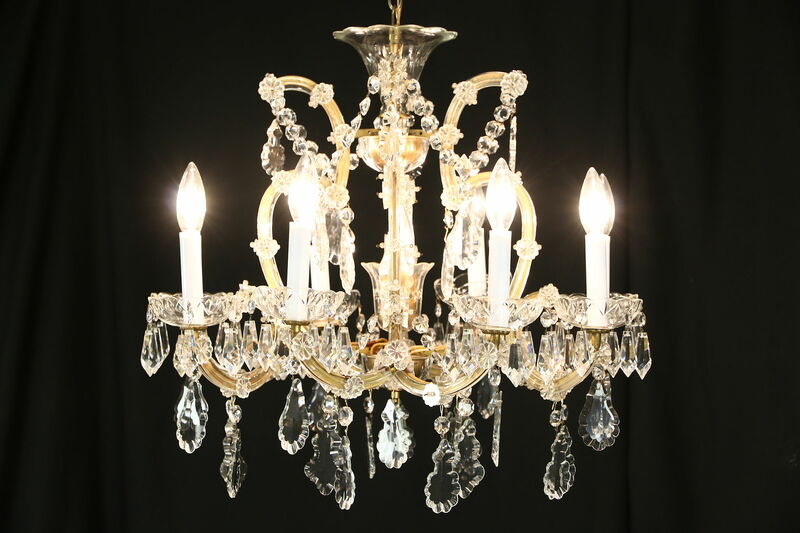 This elegant chandelier is named after the Empress Maria Theresa of Austria, and has hundreds of individual European crystal pieces, all mounted on a gilt iron frame. There are nine candles with sockets rewired for safety on this vintage light fixture. Size is 24" diameter and 24" tall, excluding the adjustable chain and ceiling cap.